Fobzu joined nine other UK charities and NGOs to condemn the UK government’s decision to abstain on a resolution at the UN Human Rights Council last month which backed the report of the UN Commission of Inquiry into the 2018 protests in Gaza. The charities described the government’s decision as a ‘regrettable dereliction of its responsibility to uphold respect for the rule of international law and human rights’. The Inquiry was tasked with investigating alleged violations of international law relating to the Great Return March during the period between 30th March and 30th December 2018. During this period Israeli security forces killed 189 Palestinians and injured more than 23,000 protestors. Launched on the anniversary of Land Day, the Great March of Return has been one of the largest civic mobilisations of Palestinians in recent years. Thousands of Palestinians have gathered at weekly demonstrations to demand an end to the blockade of Gaza and to be able to exercise their right to return to the homes from which they and their families were expelled in 1948. The Inquiry presented its full-length report at the UN Human Rights Council meeting held in Geneva in March. The report found “the use of live ammunition by Israeli security forces against demonstrators was unlawful” in all the cases it investigated – all 189 fatalities and over 300 of the 23,000 injuries – with the possible exception of two incidents. The report recommended measures for preventing future violations at protests and protecting civilians, including easing access to healthcare for the injured, lifting the blockade of Gaza, and ensuring accountability measures for violations of international law. The UK, which had previously abstained on the UN Human Rights Council’s resolution calling for the Commission of Inquiry, refused to endorse the report when it came before the council at Geneva. MPs condemned the government’s decision to undermine efforts to hold Israel accountable for its violations of international law. The Chair of the Britain-Palestine All Party Parliamentary Group, Richard Burden MP described the UK’s abstention as “disgraceful“. Shadow Foreign Secretary, Emily Thornberry MP condemned the government’s position, raising an ‘Urgent Question’ debate. 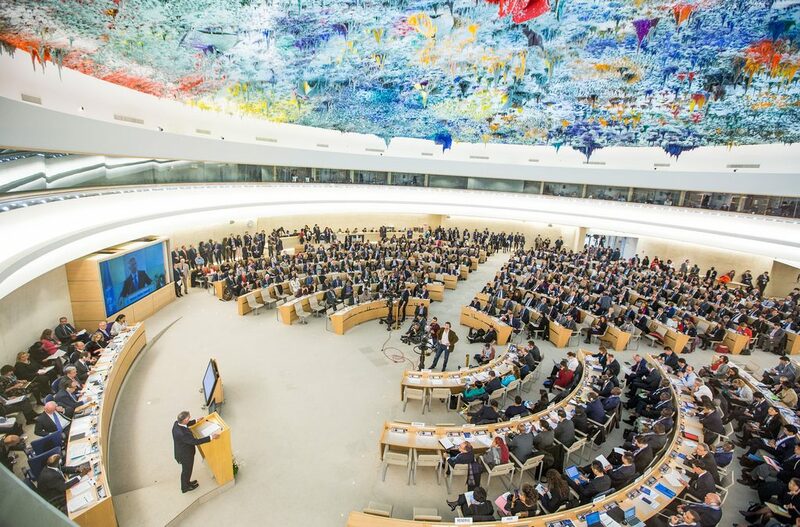 As a coalition of UK-based humanitarian, development, human rights and faith organisations working to support the rights and welfare of the Palestinian people, we express alarm at the UK government’s decision at the UN Human Rights Council this morning to abstain on a resolution that welcomed the important report of the UN-mandated independent Commission of Inquiry into the 2018 protests in Gaza and the implementation of its recommendations. The UK’s abstention on the Commission of Inquiry’s report represents a regrettable dereliction of its responsibility to uphold respect for the rule of international law and human rights. The UK failed to clearly affirm that victims, survivors and their families of serious violations perpetrated by Israel’s forces at the civilian protests in Gaza require legal accountability and justice. The Commission found reasonable grounds to believe that all 189 fatalities were caused by unlawful use of force – with the possible exception of two incidents – and that medical workers, journalists, some children and some people with visible disabilities were shot intentionally.